This week, we hosted a webinar to launch a new collaborative initiative—the Guiding Principles on Access to Healthcare (GPAH). The GPAH were developed by BSR’s Healthcare Working Group and have secured signatures from the CEOs of 13 companies representing the pharmaceutical, biotech, diagnostics, and medical device sectors. 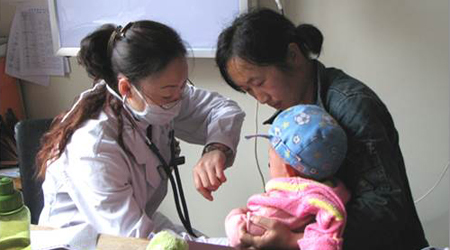 As a set of industrywide principles and approaches, the GPAH recognize the importance of five core areas: collaboration, research and development, expanding availability of healthcare services, developing health systems resources, and respecting human rights. The principles provide a common framework and a call to action for exploring new collaborative and systemwide approaches to expand access to healthcare globally. The webinar discussion surfaced three lessons on how companies can approach the GPAH and drive further progress in expanding access to healthcare. When companies collaborate on a complex issue such as access to healthcare, they are able to use the complementary capabilities of various partners to drive systemwide change. Given rising costs in research and development coupled with decreased reimbursement levels, healthcare companies seek growth opportunities outside of the developed world, where access to healthcare challenges are especially significant and where companies will find the GPAH a useful guide to exploring new approaches. As companies seek to demonstrate progress against the principles, it is vital that they develop key metrics that speak not only to project inputs (dollars invested) but also to project outcomes and impact (deaths averted). As we move this initiative forward, we'll continue to share lessons on how industrywide partnerships such as the GPAH can help business tackle major sustainability issues. The webinar recording, details of the GPAH, and more than 20 case studies are available here. Please share your views with us: Comment here, tweet using the hashtag #GPAH, or email gpah@bsr.org.